On Wednesday, Oct. 24, the Downey High Jazz II band attended the annual Disneyland Jazz festival. This year marks the ninth time Jazz II has brought music to the wonderland in hopes of bringing joy and tasteful jazz. They had high expectations for themselves and anticipated the viewing of other jazz bands that day. The event began at 9:00 AM and started with jazz bands from different cities, and at noon Jazz II took the stage. The group played 7 songs consisting of swing to contemporary jazz songs all directed by Corey Olariu. The setlist for the noon concert had songs such as “Round Midnight” by Dale Turner and “Giant Steps: Naima” by Jaki Byard and Michael Marcus. Each jazz player enjoyed the songs they played and feel positive that they made the Disney hall brighter that afternoon with those songs. Jazz players all have their strengths in certain places and alto saxophone player, Cody Tsaowimonsiri, 10, is certain he did a good job but still describes his best moments and weakest in playing. Jazz II had been preparing since the start of the school year for their first official festival and feel good that they took the necessary time to practice their setlist and work out their imperfections. 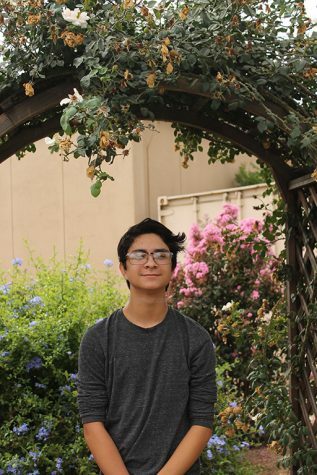 Sophomore drummer, Jeffrey Reyes, feels proud that he practiced every day to perfect his playing. Upon reflection the Jazz II players feel good about their performance, complimenting and critiquing themselves properly. This year marks the ninth time Jazz II has brought music to Disneyland in hopes of bringing joy and tasteful jazz. They look forward to their upcoming winter concert on Dec. 13 at the Downey Theatre with all the other Jazz groups from Downey High.